Anticipating the completion of a dozen solar projects in Wisconsin, La Crosse-based Dairyland Power Cooperative signed contracts this month to add three more arrays to its generation portfolio. With these three arrays Dairyland now has more 20 MW of solar generation under contract, almost all of it located in the Badger State (see table below). These arrays will produce emission-free power for Dairyland’s 25 member distribution cooperatives and 17 municipal utilities. own the three new arrays. Two of the three arrays will be located in Wisconsin, and the third will go up in northeast Iowa. SoCore is also the developer of 11 of the initial 12 arrays announced by Dairyland in February. All 15 arrays are located in the service territories of Dairyland’s member distribution cooperatives. 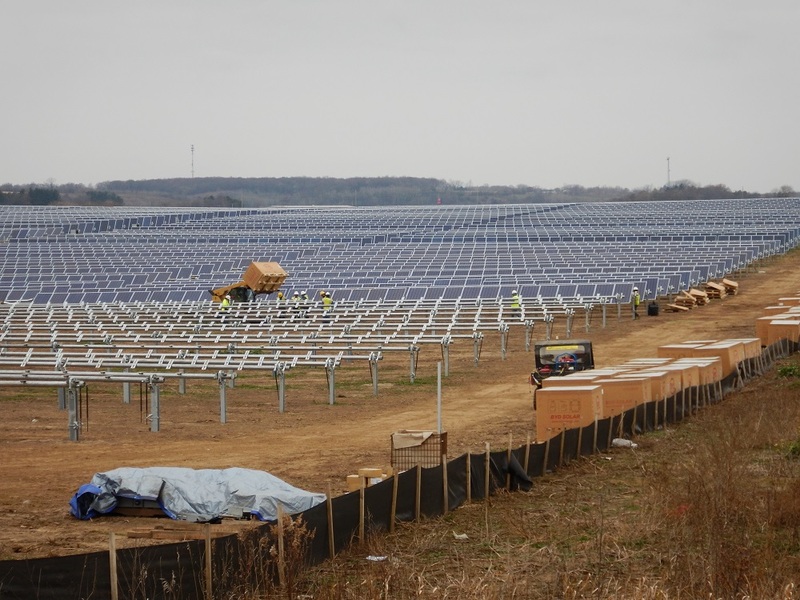 In conjunction with Dairyland’s utility-scale arrays, many of the host cooperatives are adding their own panels to these installations, to serve customers who subscribe to their shared solar programs. 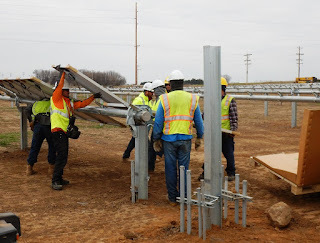 One of the projects under construction, St. Croix Electric Cooperative’s Sunflower II array in Roberts, provided the backdrop for a solar media day on Monday, November 14th. RENEW's Michael Vickerman took part in the open house, providing RENEW's perspective on the rapid growth of solar generation throughout Wisconsin. 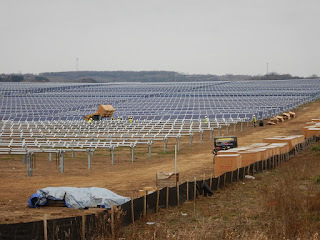 The Sunflower II project is about 30 miles east of St. Paul, Minn., and 55 miles west of Eau Claire, Wis.
Of the 45-50 MW of Wisconsin-based solar generating capacity likely to be operational by April 2017, Dairyland’s projects will account for nearly 40% of that total. As of today, the only multimegawatt array producing power under contract to a Wisconsin electric provider is the 2.25 MW installation in Rock County owned by Hanwha Q CELLS USA, which supplies electricity to Wisconsin Power & Light. As a reminder, Barbara Nick, CEO of Dairyland Power Cooperative, will speak at our 2017 Energy Policy Summit, Clean Energy Goes Mainstream, on January 19, 2017. Learn more and register today!